Nikon has released a service advisory to owners of the new Nikon D810 camera, as follows. Below Nikon’s service advisory are my comments and continuous updates on this problem (until resolved). My camera is in the serial number series for the problem. I tested my D810 with Long Exposure NR turned off and with multiple 30-second exposures in a dark area at f/22. After heating up my camera’s sensor with several long exposures and shooting with Long Exposure NR turned off, I was able to duplicate the white spot issue. However, the only way I could see the spots was to shoot an almost black subject, then turn brightness and contrast up to 100%. At 100% pixel-peeping level I could see white spots (see image below). I then tested the same conditions with Long Exposure NR turned On (black frame subtraction) and the noise was gone. Turn off Shooting Menu > Long Exposure NR. Set your camera to aperture-priority (A) mode. Set the aperture to F/22. Set Shooting Menu > Image area > Choose image area to 1.2x (30×20). Take a picture on a tripod or sitting on a table in a dark area. If it is dark enough the camera will leave the shutter open for 30 seconds. Do this at least ten times to allow the sensor to warm up. View the last image at 100% and look for an area with a little brightness for spots. It helps to turn up the contrast to 100% and maybe even take the brightness or clarity all the way up too. Now, the question is, how many of us shoot long exposures at tiny apertures of extremely dark subjects, with Long Exposure NR turned off, turn brightness and contrast to 100%, and then pixel peep at 100%? This whole issue reminds me of the banding issue with the Nikon D200. Someone wanted 15 minutes of fame and published something they knew would go viral. I am sure this “problem” will be fixed with a near-future firmware update. Wait and see. In the meantime, please don’t add to the internet hysteria! From what I understand, serial numbers from 3000002 up to 3007696 are affected (USA models). After that, the issue is resolved. Also, if your camera has a black spot inside the tripod socket the issue is resolved even if the camera is within the serial numbers in question. This situation is not the same as stuck pixels that can be mapped out. A stuck pixel is always a stuck pixel and so it can be dependably mapped out. The problem with the D810 is random in nature and therefore affects random pixels each time. There is no “mapping out” hot pixels caused by extended shutter speeds. These spots are long exposure noise, pure and simple, and the camera’s Long Exposure NR function uses dark frame subtraction to remove them. It may be inconvenient for those who want to shoot very long exposures and do not want to use Long Exposure NR. I am not downplaying the seriousness of this problem for that type of photographer. 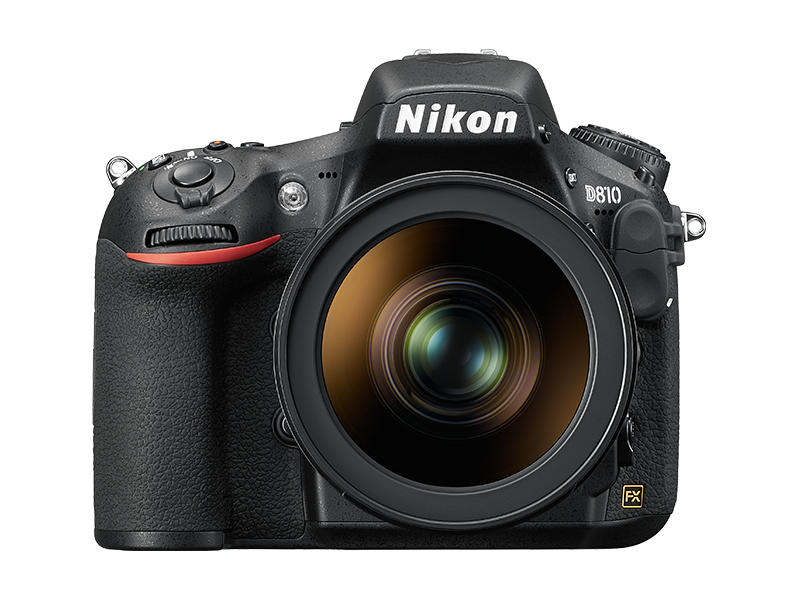 I posit that this problem will not affect 95% of photographers who use the Nikon D810. Most photographers will have no problem with leaving Long Exposure NR active, which cancels out the spots automatically. Digital cameras have always had long exposure noise. Some cameras are better, some are worse at controlling it. Some add AMP noise to the problem, which is a fogging affect around the edges. At least the Nikon D810 is limited to spots instead of spots and fogging. The majority, and I mean the resounding majority of shooters will never see this problem. It requires shooting on the ragged edges of image capture capability, where most people never go. And if they do go there the camera provides a function to take care of the problem (Shooting Menu > Long Exposure NR). Nikon issued their recall because of fear of a lawsuit, due to their recent oil spot foolishness with the Nikon D600 and the D800 focus issue, which were real quality control issues arising just after the flooding in Thailand and earthquake in Japan wiped out a good portion of their production capability. They reacted quickly this time because that is what is expected of them. I am sure they are installing new firmware and making other tests on whatever cameras are sent in. In my opinion, this issue is Internet hysteria, started by someone who is looking for a few days of fame and extra hits on his website’s sponsor links. This is just like the banding issue with the Nikon D200 a few years back, which was so farfetched that it bordered on ridiculous. If this problem is not resolved by a firmware update within the next few weeks, I will send my camera in to Nikon over the winter when I don’t need it so badly. I have a wedding coming up this weekend and a book to write on the camera. This problem does not rise to the level of seriousness since it will NOT affect the majority of photographers. A problem that is corrected by the camera itself by using normal camera functions (Long Exposure NR) does not rise to the level of a problem requiring an immediate shipment of my camera back to Nikon, in my opinion. I will wait and see what they do with a firmware update. They are not just suddenly going to stop accepting cameras with a real problem for repair during the warranty period of ONE YEAR. For those who need to use your D810 now and have no time to send it in to Nikon, set Long Exposure NR to On (see the D810 screenshots above) and voila, the problem is solved, until you have time to deal with it later (if ever). All Nikon D810 cameras up to a certain serial number were affected and the ones after that serial number have new firmware that masks or reprocesses the white spots. This problem is simply excessive long exposure noise. It is not a defect in the camera that requires replacement. It is the personality of the camera’s new sensor when used in long exposures. ALL digital cameras do exactly the same thing, unless you shoot with the sensor at below freezing temperatures. That is why any camera of quality has a Long Exposure Noise Reduction function. The Nikon D810 is not the best camera for astro photography as it currently stands, but it is superb and world-class for virtually any other type of photography. I am sure Nikon will issue a firmware update that “fixes” the “problem” eventually, after they have experimented with the cameras being sent in for service. It is very frustrating to me to see all the bad press that one of the world’s best cameras is getting over a relatively minor personality flaw. It is almost like there is a conspiracy going on out there. Sure, Nikon made some serious mistakes in not dealing promptly with the oil spots in the D600 and the focus problem in the D800. However, this white spot issue in no way rises to that level of severity. Only a marginal number of shooters, those who use exposures over about 25 second regularly, will be affected. Later, when Nikon has released their firmware update, or adjusted the cameras in the shop, all will be well. In the meantime, internet hysteria is taking its toll for a very poor reason. Ask yourself, “How often do I take 30 second exposures?”, and if you answer “every now and then,” you are a candidate to ignore this “problem.” A person who shoots an occasional long exposure will be protected by the Long Exposure NR function in the Nikon D810, which should be turned on immediately (Shooting Menu > Long exposure NR = On). I promise you that if you take your current camera (not a D810), shoot multiple long exposures without Long Exposure NR enabled, you will see similar white spots in your images. Why haven’t people freaked out about previous cameras that do the same thing? This is internet hysteria at its best. “Everybody is saying the camera has a problem, so it must have a problem! Right?” Sure…crowds are always right! I am next going to ask Nikon how long the free service will last on this problem because I don’t want to send my camera in until wintertime. I need to find out if I can wait a few weeks, or if this free service disappear after a while. I’ll let you know what I find out. Check back! It appears that cameras that already have the new firmware applied by Nikon have a new firmware version C 1.01. Those having the problem have firmware C 1.00. Darrell Young is an active member of the Nikonians User Community, Nikon Professional Services (NPS), Professional Photographers of America (PPA), North American Nature Photography Association (NANPA), and the author of 15 photography books from NikoniansPress through Rocky Nook, including Beyond Point-and-Shoot, Mastering the Nikon D610, Mastering the Nikon D800, Mastering the Nikon D7100, and the upcoming Mastering the Nikon D810, to name a few. He’s been an avid photographer since 1968 when his mother gave him a Brownie Hawkeye camera. The D800 has this same problem. When I reported it to Nikon, they told me to use LENR. At least, there’s a fix for the D810. They never bothered to fix the problem on the D800. I am not going to send my camera in initially. Let Nikon work out this problem fully. If a firmware update can solve it, great. If not, I will send my camera in over the winter to them, when I need it much less. This problem will NOT affect most users of the D810 in any way. I upgraded to the Nikon D810 specifically for long exposure photography and long lens high ISO photography as Nikon touted it as their best image quality yet. My existing equipment was already good for the other 80%. I am using a fast lens with relatively low ISO settings of 800 to 1000 and a shutter speed of only 25 Seconds. I am processing my raw files in Adobe Lightroom and the issue is most pronounced when increasing the shadows. The image quality I am experiencing at the moment renders this camera not useful for long exposure photography. I hope that the fix does work as I really do like the camera otherwise. As of now, (end of November) has this long exposure problem been corrected? I am considering purchasing a D810 in the very near future. Any new developments in resolving this issue? I would appreciate any input that can help me. Many thanks! My new D810 at long exposure started showing green/white/red/purple spots all over. I did the test where I left the camera with covered on manual focus with f22 BULB for 2.30 mins. And all those spots are clearly visible when I opened it in LightRoom. I am going to reach out to Nikon Singapore support for replacement. Lets see how Nikon responds. Really disappointed. « You Make Pictures Not Your Camera!